Tips for transitioning to a zero waste office. We've covered a few areas in our home to transition to zero waste. From our kitchen, to the bathroom, to our closet. Today we tackle the home office. Perhaps not a place that you automatically think of to reduce waste, but there are many ways to reduce your waste here. For many of us, the minute our computer becomes slow, we may automatically think about replacing it. Computers nowadays are so inexpensive that it's quite easy to get a new, sleeker laptop. Before you do consider buying a computer, see if there are ways to clean up and make your existing computer faster. I worked in IT for many years and 2 years was the "life" span of the computer at the corporation. What people didn't realize was that we actually recycled computers often. Most computers that we ended up issuing were not technically new, just new to you. Here are ways to improve the speed of your computer. I always recommend being nice to a geek. They can help you with any of these and probably at no charge. Quick memory upgrade on a 7 year old laptop. Clean up your computer. If you've had your computer for a while, it's probably full of junk. Delete unnecessary files. Clean up our desktop as each shortcut you have takes a few seconds to startup. Clear your browsing and cookie history. Delete old programs. Let go of your old college essays or move them to the cloud. Majority of the reason computers get slow is because they don't get properly shut down this is why IT's number question will be "Have you shut down your computer lately?" What happens when your computer has been running for days and I've seen weeks is that there are all of these extra processes that get stuck causing general sluggishness. Reformat. This is actually not as scary as it sounds as long as you are in control of the backup and reset. If you've already done #1, reformatting will be easier and will provide you a cleaner operating system. It will automatically remove unneeded programs and get you the latest updates. Move to a new operating system (OS). Sometimes, it may be time to try out a new operating system like moving from Windows to Linux. It will take some getting used to it, but if most of your computer habits are web browsing, running on a simplified OS might be more beneficial for you. Add more memory. You can buy RAM at a fraction of the cost of a computer. RAM will automatically add a bit more speed to your computer. Check online to see how much more memory your computer will support, then purchase the additional memory. You'll need to open your computer and insert the memory cards. It's fairly easy to do and more inexpensive than buying a new one. You will then save another electronic waste from going to the landfill. If it's missing parts, check out eBay or old thrift shops for parts that you can reuse. Or ask your IT friends if they can help you find a part. If you really need to buy a new machine, check your company or friend's workplaces to see if they are selling their equipment. You can probably get a good deal on a used machine. Most companies refresh equipment every 2-3 years and even so these are pretty good machines even if a few years old. Once your computer is reset or upgraded, don't forget to turn off your computer or monitors are the end of your workday to reduce power. Although, our technical world is now all about the cloud, we are all still inundated with paper. Paper never got eliminated despite the cloud. Always sign-up for electronic delivery. Majority of all companies now support this and even provide a discount incentive to do so. You can setup Inbox rules to automatically file your monthly statements or other documents into specific folders so that you can access your files quickly and more efficiently. Many companies appreciate the use of electronic delivery as it also saves them on mailing costs. Opt to get or send a document in PDF. You can install applications like Microsoft PDF or CutePDF which will allow you "print" a document into a PDF format which can then be easily stored or sent by email. I typically convert my documents into PDF, send it to myself, then open it in iBooks so that I can reference or read it offline. Subscribe to Box.com or Dropbox.com or Google. Keep those files on the cloud. Each of these platforms have their own apps and it makes it so easy to access your documents on the go. If you are constantly printing and signing documents, consider transitioning to electronic signature services like Docusign or SignNow. These services allow you to securely sign documents while on the go reducing wasted time and paper. If you break it down, it's around $5 to $10 dollars a month, but you're saving yourself lots of time and resources. You no longer have to wait to be home to print, sign, re-scan and email your document. All signed documents are stored in PDF and easy to access. I've personally implemented Docusign at a large company integrating it with various applications. This was a huge time and paper saver. If you home office is full of mail, check out this post on how to eliminate and greatly reduce your junk mail. The best thing to keep your home office clutter free and waste free is to stop things from even coming in. I donated boxes of books last year. This was an exercise in letting go. I had books from high school, college. I had books I thought I was going to reference and re-read, but they never happened. Instead of buying books, I now frequent my library often. This allows me to reuse items often. It reduces clutter. It saves me money. I still love the feel of books so I do prefer to do my research and reading this way, but of course, getting your books electronically is also another option. Why is it when you really need a pen, you can't find one, yet when you look in your desk or drawers, there's so many of them. We know we don't need all of them so it's also time to get rid of some of these. 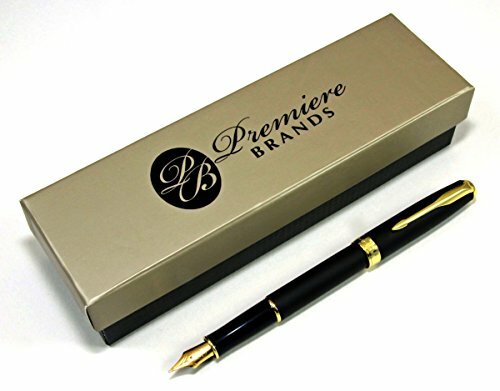 Review your pen collection and select ones that you know that you are going to use. For me anything with a Medium to Fine point is highly coveted. I have not invested in a reusable pen, yet, but once I run out of pens, I will do so. Before I do that, I have to be more conscious of what I grab and what I accept. Most the time, we need to refuse the free stuff including the free pens to reduce clutter and waste. If you have lots of pens leftover, donate them. Sadly, there are many schools out there that don't have enough supplies. Check out Pens to People, ask fellow teachers, check out your library or if you are traveling to a third world country, you may be able to bring some to give there. Pens, while small, still take resources to make and majority are made of plastic. You can recycle pens and other unused office supplies through Terracycle's Office Supplies Program. Planned obsolescence is a fact in electronics. This is the absolute opposite of zero waste. Planned obsolescence is a policy to design a product in such a way that it becomes obsolete in a smaller time frame. This can be done in a few ways: not designing the product to be durable, changing the style and making the old style uncool, making it hard to open and repair a product, and making it more difficult to use the product by not supporting updates or generating errors. Don't keep old electronics collecting dust in your office. If they are still functioning, try to sell them. Perhaps, someone can get more use out of them. Don't expect to get the same amount as you paid for it. Depreciation is real and accept that. If the item is no longer functioning, check out Best Buy and Staples to recycle your electronic waste. Unfortunately, we are drowning in e-waste so we have to be more conscious about what we buy and try to keep our electronics in good working condition. Just because there's a new model out there, we don't have to buy it immediately. If you need a new printer or a part, check out eBay or other stores to see if you can get it secondhand. Before buying a desk, look for a secondhand one or build your own from recycled materials. You may be able to get a perfect desk without the high expense and you'll be able to save another item from going to the landfill. If you do buy a desk, make sure it's made of quality material and classic enough that you can use it for a long period of time. I've built my own desk because I couldn't find one that I liked from reused materials. It was easy and straightforward. There are many other things that you can also buy secondhand such as a desk lamp. Check out your thrift stores or even around college move out days first before buying these smaller items brand new. Also, think hard if you really need them. Perhaps, you don't even use a desk lamp, but sometimes automatically assume we need them because we've been marketed to think we need them. Reuse existing items around the house like glass jars for pen holders, etc. Etsy is also a good place to get some reclaimed pieces if you are looking for something a little more stylish. Refuse the tsotchkes, the trinkets, the free stuff that pile in our drunk drawers. Remember just because it's free, it may not be valuable to you. Assess before accepting anything with a company logo. Do you really need it? If you don't, don't accept it. Smile and say "No, thanks!" So easy and it reduces waste and clutter. 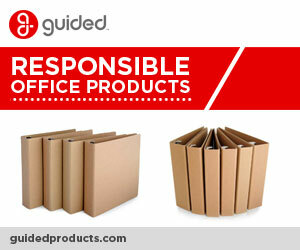 There's so many ways to reduce waste in the office. You just have to look around. If you have a designated trash can, look to see what you put in there. This is the best way to understand what kind of waste you are generating.